If you’ve shopped for a diamond recently, you’ve probably noticed the magnificent sparkle of this remarkable gem! Have you fallen in love with an especially brilliant piece? A jeweller’s skill in shaping and faceting a diamond contributes to the value of the cut and polished stone. Light reflecting from a variety of hard, finely faceted surfaces accounts for its remarkable display of glittering beauty! In the past, most diamond cutters worked entirely by hand. Developing the skill to shape raw stones into finely worked masterpieces often required years of experience and training. Diamond cutters developed expertise to help them perform this important task. Today, most diamond cutters in Western nations rely upon sophisticated software programs and computerized tools to obtain accurate faceting. A computer program will carefully measure and evaluate the in ternal structure of each stone and recommend the optimal cut(s) and faceting selections. 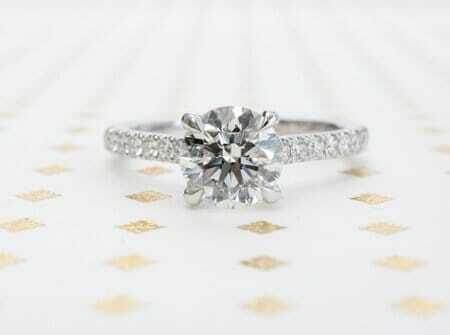 A jeweller then takes a faceted diamond and places it in a beautiful setting. Round: The angled facets of a brilliant round cut diamond allow the gemstone to sparkle with a fiery internal power. 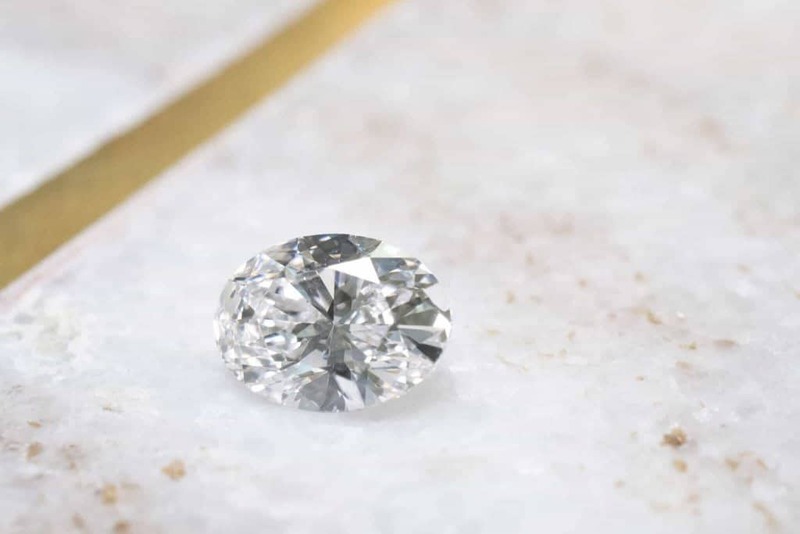 Heart: Shaped like a classic heart with two gently rounded arcs and a distinctive pointed apex, this type of cut requires careful attention to the symmetry of the stone. Rectangle: You’ll discover a variety of specific rectangular diamond shapes, including emerald cuts and baguettes. Precise symmetry and sharp corners remain imperative for effective rectangular faceting. Pear: This teardrop-like shape appeals to many ring and pendant buyers. Oval: Like round shapes, only slimmer, this cut also produces shimmering effects! Marquise: In order to produce this lip-shaped curving cut, a diamond expert must ensure rigorous adherence to symmetry. The angular cuts demand precise measurements. Octagonal: A series of elevated step-cuts enhance the interior brilliance of diamonds honed into this shape. Triangle: A frequently selected shape for small diamonds, the triangle often enhances the brilliance of tiny diamonds surrounding a larger stone. Princess cut: You’ll want to obtain a setting with prongs to help protect your diamond’s sharp corners if you choose this popular cut. Regardless of the cut you select, the odds remain excellent you’ll notice your diamond’s eye-catching properties. A well-shaped, finely faceted and polished diamond remains a treasure to cherish for a lifetime, and beyond. This beautiful gem aptly symbolizes the radiance of profound emotions!